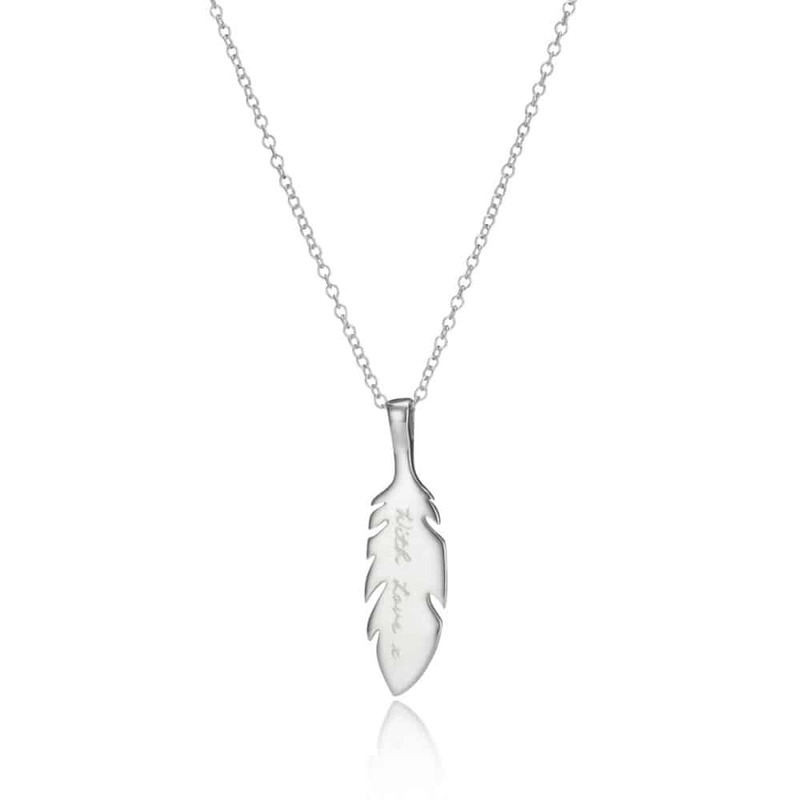 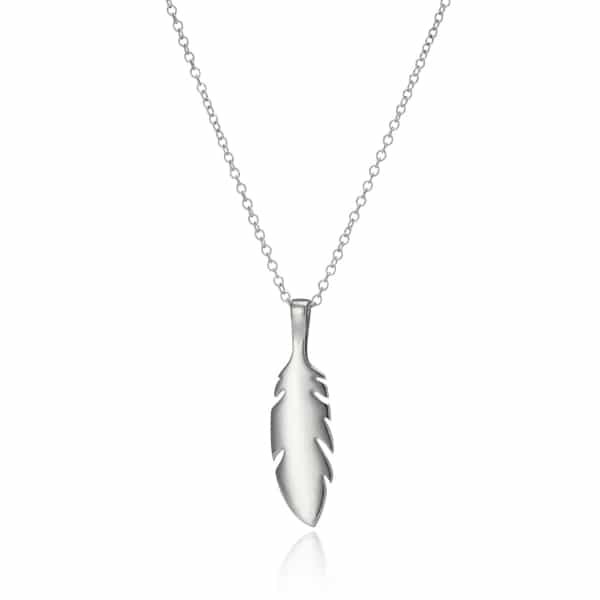 A meaningful piece of jewellery, our Feather Pendant Necklace symbolises protection, guidance, freedom and hope. 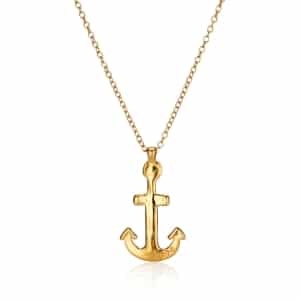 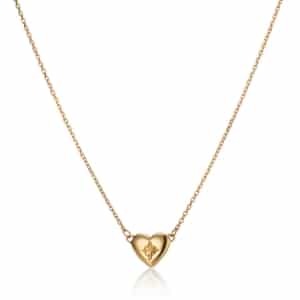 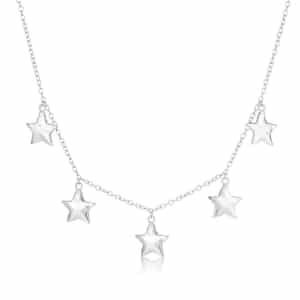 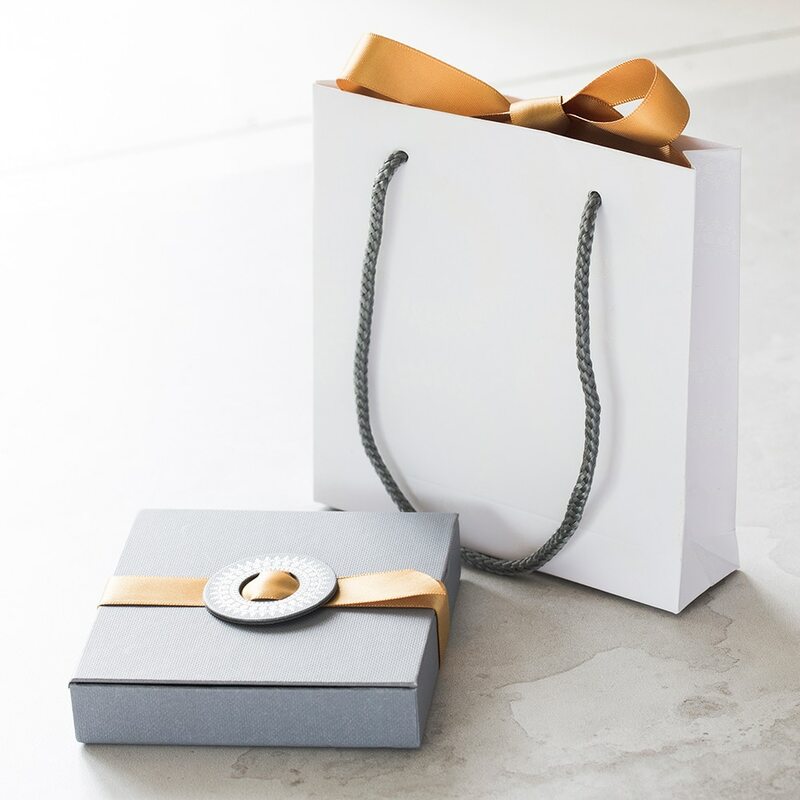 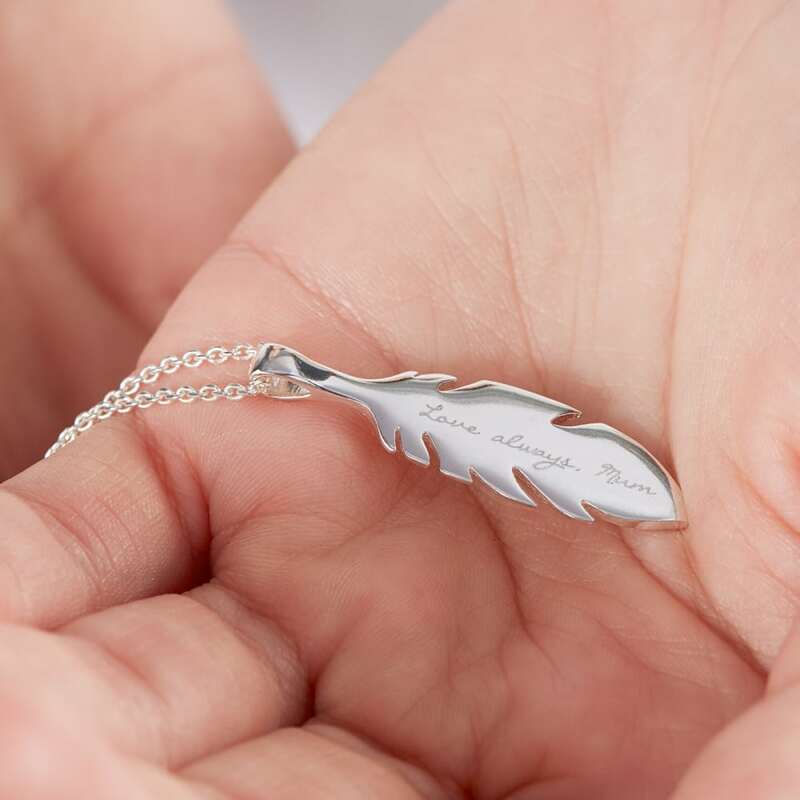 Wear with anything piece that will add the finishing touch to any ensemble, it is offered in sterling silver, yellow gold and rose gold to complement every taste, and it can be personalised with a name, special date, or initials with our bespoke engraving service. 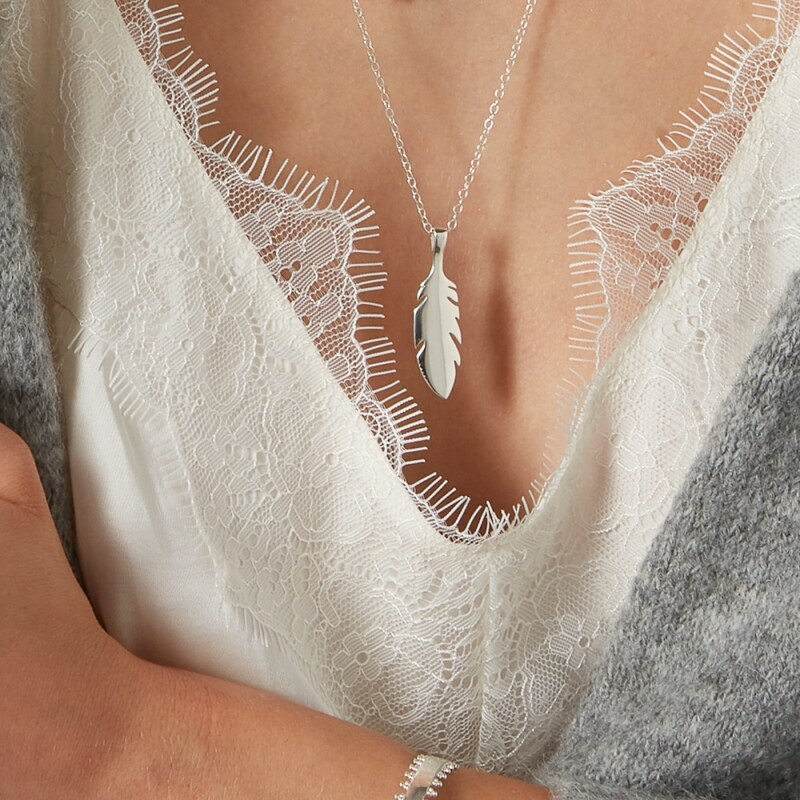 Many believe that feathers are a sign of guardian angels, and so this exquisite Personalised Feather Pendant would make a stunning gift for those you want to keep safe. 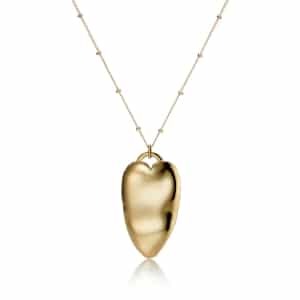 Handcrafted and beautifully tactile, it features a curved front, intricately carved barbs, and a refined tip that lends elegance to the timeless design.